Industry leaders, sustainability experts, and sector specialists are what defines Bee-Clean as Canada’s largest janitorial service provider. 100% proudly Canadian, Bee-Clean is your single source of building maintenance and cleaning innovation for local and national properties. The organization’s professional teams have been providing expert service to clients in the public and private sectors for more than 43 years. Bee-Clean is the first Canadian company to achieve Cleaning Industry Management Standard (CIMS) Green Building certification in 2009. Otis is the world’s largest company in the manufacture, installation and service of elevators, escalators, and moving walkways. 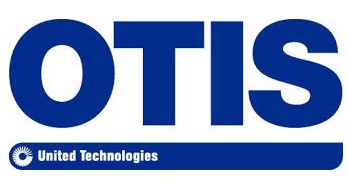 Otis is a wholly owned subsidiary of United Technologies Corporation. The company utilizes advanced elevator technology to provide customized solutions for a full range of applications from low-, mid-, and high-rise commercial, residential, and infrastructure projects to the tallest building in the world. Otis offers innovative technologies and an extensive product line to improve performance, aesthetics, and reliability of elevator systems. Indigo provides car parking management services for the local authority, rail, airport, health, and retail sectors in North America and Europe. Its services include off-street parking enforcement for local authorities, providing specialized training, and car park building and refurbishment. The company’s car park management services comprise patrolling, closed-circuit television monitoring, accounting, cash collection, equipment maintenance, car park maintenance, customer care services, permit management, and security services. BFL was established in montreal in 1987, and has since grown to have locations in ten Canadian cities and nearly 600 employees. BFL works with businesses, professionals, manufacturers, local governments, organizations, and associations to offer a variety of services including commercial insurance products and services, risk management and control services, and employees benefits consulting services. © Copyright BOMA Manitoba. All rights reserved.